Hello lovelies and happy Thursday! 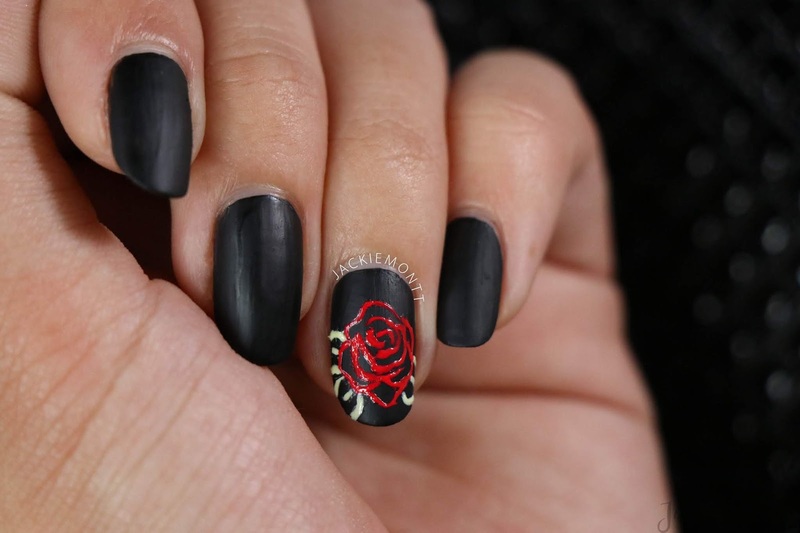 Today I am bringing you a super simple, neon rose manicure! With winter in full swing here in New York (like single digits *brrr*) I was craving a floral mani to bring some color and life back into my life. But, I had to be realistic -- while yes a springy mani would be nice, it would just clash with the frigid NY winds and snow. 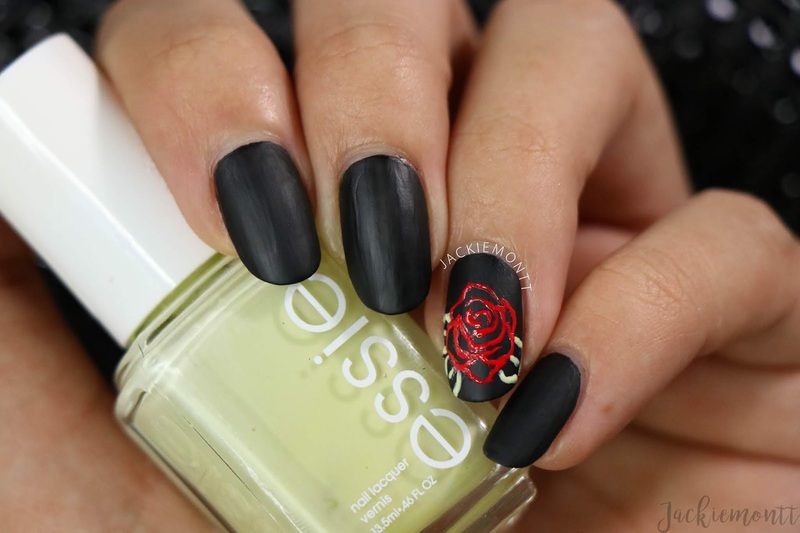 I decided to settle on a neon rose mani, over matte black, to bridge the gap between my yearning for spring, and the reality of winter. I was pleasantly surprised with how well this little design came out, and I hope you like it as much as I do! 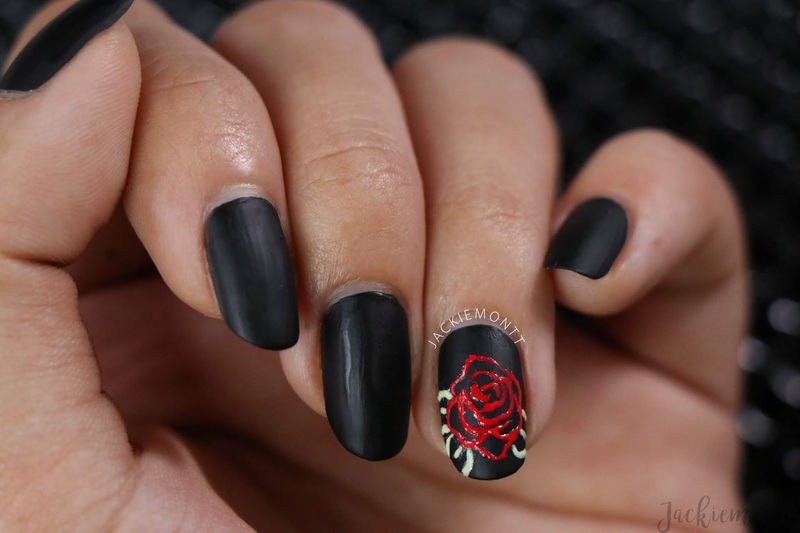 This mani is super simple to recreate, and you can use any polishes that you already have in your collection! 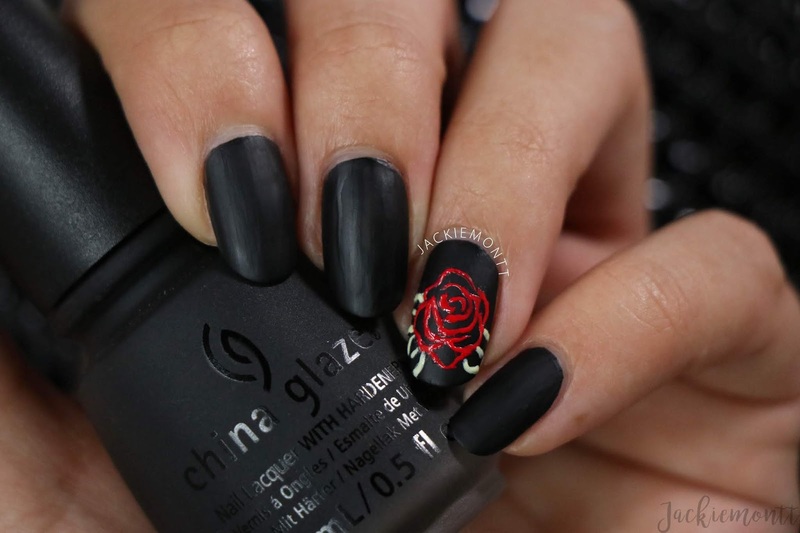 I started out with a base of China Glaze "Shadies and Gentlemen" -- a really buttery matte black polish. I feel like matte polish is very in at the moment, and I have been on a huge kick of it, so I was looking to use a matte base here. That being said, you do not need a matte back! You can use any black, or even any dark color that you please. Just remember, you'll need your "neon" shades to pop, so make sure it is a dark, dark polish. 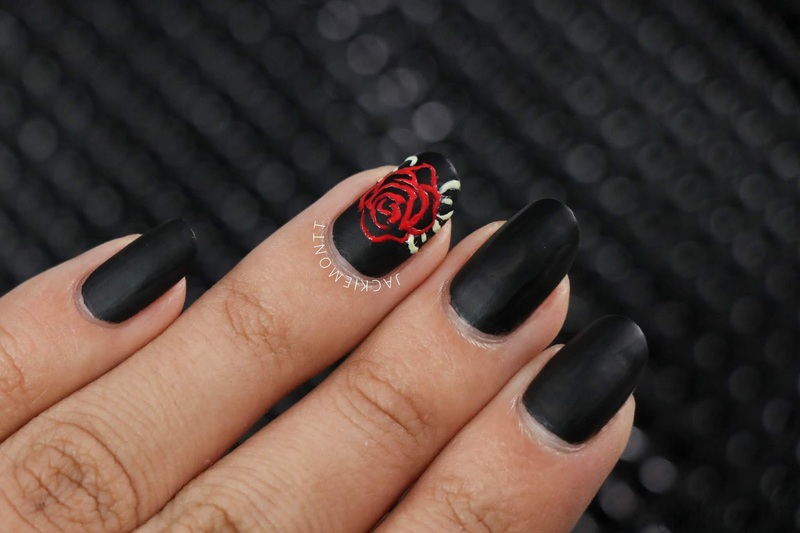 Really, the only other thing you have to do is use a bright red polish, I used KL Polish "Magic City", to sketch on a rose. You can search countless reference images to help you out, and I suggest practicing on paper before you go in for it on the nail. Finish it off with some green petals, I used Essie "Cillato", you will want to use a green with a white base, or mix some white in with green on paper or a mixing surface. And that's it! Super easy, and super fast! Be sure to top off your look with top coat (matte or glossy) to make this mani last longer.